We care about our customers and environment, so we use the eco-friendly cleaning solvents that are safe for our environment as well as give you odorless, softer – feeling clothes and vibrant colors with no color loss. We also have implemented other environmentally friendly methods and procedures in our operation such as wet cleaning, hanger recycling and degradable bags. 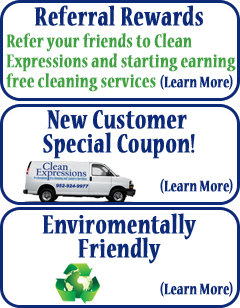 Clean Expressions is proud to use environmentally friendly cleaning solvents for our cleaning processes. Going The Extra Mile To Be Eco-Friendly!